Up until the AACN’s official endorsement in 2004, APNs met their educational requirements through a master’s degree program. The decision to pursue a doctoral degree was mostly influenced by a desire to conduct research or teach. Due to the AACN’s influence, the level of preparation for APNs will now be lifted and from the master’s level to the doctorate program. In the AACN’s words, “the changing demands of the nation’s complex health care environment require nurses in specialty positions to have the highest level of scientific knowledge and practice expertise possible.” There’s a clear line between higher education and improved patient outcomes, so raising the requirements for practice for APNs will only have positive outcomes. Alabama’s colleges and universities have been responsive to the calls for DNP education, and the state currently has five accredited programs at leading institutions. Among them are the University of Alabama and Samford University. The hybrid programs are completed mostly online, but students must commit to some classroom sessions. Choosing one of the five DNP programs in Alabama may just be a matter of location and cost. But as more nursing schools add this degree to their graduate education offerings, it will become increasingly difficult to identify a winner. Many programs in Alabama, and across the nation, require students to choose a specialty option, much like the program at the master’s level. Specialty areas of clinical practice include pediatrics and geriatrics. In the case of the University of South Alabama College of Nursing, the courses prepare graduates to care for those in medically underserved populations. If you’ve decided that the DNP is the right choice, your next step is to consider what you want from your career. With your master’s in hand, you can choose from the DNP or Ph.D., which are two very different paths. A Ph.D. is recommended if you’re drawn towards research that will be valuable for the industry. The DNP is the right choice if you’re committed to patient care, teaching opportunities, and clinical practice. Even if a campus is far away, it pays to visit – most of the work may be completed online anyway. Touch base with the faculty and students and really listen to the benefits of each school/program you research. Always question whether the course offerings are in line with your career goals. New DNP programs are popping everywhere, even online. One of the best ways to determine if the program is accredited is to find out if the school is fully accredited. Ask questions as some programs may be undergoing the accreditation process. Research the faculty, in the same way, you research the school. Look up their backgrounds to see how you can use their experience to meet your goals. When all else fails, logistics, such as program availability, flexibility, convenience, and cost will all help to cement your decision. A DNP-level education is essential if you want to be a pioneer of change in the industry. DNP-educated nurses apply evidenced-based practice to clinical care. The DNP-educated nurse takes the results of research and translates and incorporates it in the practice setting in an efficient and seamless way to improve the lives of patients, nurses, and other healthcare professionals. DNPs, essentially, implement best practices in clinical care. The reward is the ability to see the results of your efforts almost immediately as it improves the quality of care delivered. If you constantly collaborate with physicians and other medical professionals, the DNP courses covered will increase your perspective and appreciation of patient care and the work of each professional’s contribution to saving lives, preventing diseases, and promoting wellness. A deeper understanding of medical science will effect smooth communication with other medical professionals. There’s a growing shortage of experienced faculty to train the future generation of nursing. 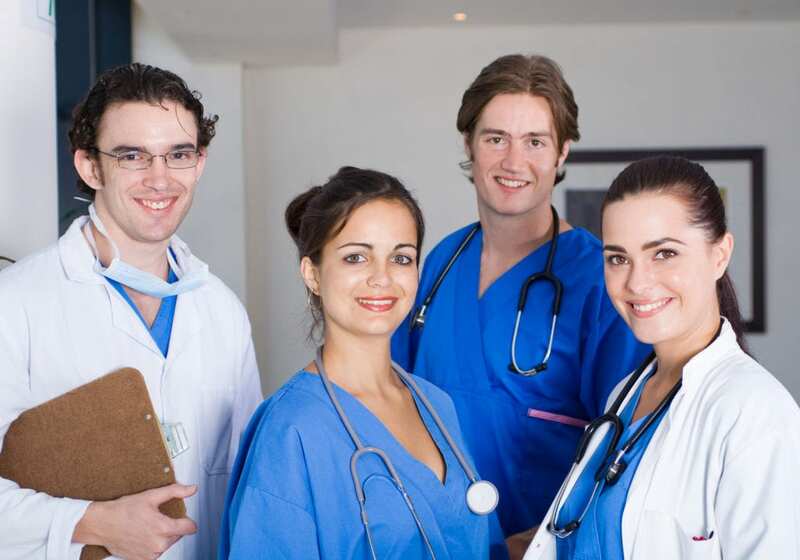 A DNP will prepare you for teaching positions at leading colleges and universities. One the greatest ways to influence the future of nursing positively is to impart good values to up-and-coming nurses. Teaching will place you in a position of influence to effect change. As an APN, with a master’s degree, you must consider the AACN’s position statement surrounding the need for a DNP degree. If the organization’s goals become a reality, all future APNs will earn their credential through the DNP program. This will help nurses develop the competencies required for managing complex health conditions. Although the move should not affect current APNs in the practice, state laws may change. Therefore, it is worthwhile to consider the degree to maintain your practice. Admission requirements vary from program to program, so check the school for specific requirements. There are multiple entry pathways at each school, which also influence entry requirements. Pathways include the MSN to DNP pathway, MSN to DNP bridge program, and BSN to DNP pathway. An MSN degree from an accredited institution in the area of advanced practice nursing. A minimum GPA of 3.0 for transferring courses. Letters of reference from industry professionals who can confirm your ability to succeed at the graduate-level program. Professional certification as an APN where applicable. A current license as a registered nurse and advanced practice nurse. The average cost of tuition for Alabama’s DNP programs is $476 per semester hour for in-state students. Additional fees for textbooks, insurance, supplies, and graduation apply. Funding may be available from federal loans and other sources.